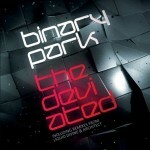 Blurb: Less than a year after releasing a monumental debut album, Binary Park brings its A-game once again. In March of 2011, a newcomer to the electro/industrial scene surfaced under the moniker of Binary Park. This is not to say that they are novices to the scene; quite the contrary as Torben Schmidt, one of the driving forces behind the creative direction of Binary Park, is the label manager for Infacted Recordings, a live member of Suicide Commando, and is also involved creatively with Lights of Euphoria. Together with Alfred Gregl and Huw Jones on vocals, Binary Park released a debut album for the ages called Worlds Collide. Walking the line of numerous electronic subgenres wonderfully, Worlds Collide is one of the top releases of 2011. The trio now returns with the substantial EP called, The Deviated. Seven brand new tracks – yes, you read that correctly – and three remixes round out what should be taken as a lesson in musical quality to any band in the business today. What is clearly evident from Binary Park is that there is so much happening within each track. Layer upon layer of electronics can be heard imbedded in every opus. The production value is mind blowing, with the opening track, “The Hidden Room” whetting the listener’s appetite for what is to come with an atmospheric instrumental piece. “Into the Deep” adds a guitar element not present on the debut album, but works effectively. The vocals really stand out on this EP, with a prime example of this being the epic “She’s Insane.” Lyrically and musically, this song is pure electro bliss. The title track, “The Deviated” is an up-tempo anthem that begs the listener to shout the chorus and march to the beat; a real floor crusher. “Not In Love” is another fine example of how well Jones’ vocals work with the music of Binary Park. His voice slinks and crawls up the thick bass lines like liquid flames. The last new track on the EP, “Keep On Falling Down” treats us with some dub elements that fit nicely within the ever growing complex structure of the songs produced. Of the three remixes on the EP, the rework of “Into the Deep” by Architect is the best of the crop. It is a different take on the track and forgoes the guitar for a smoother auditory experience. 2011 has spawned a plethora of high quality music, with new and old bands alike releasing some powerful material. Binary Park is at the top of that list and will be a force to be reckoned with for years to come.